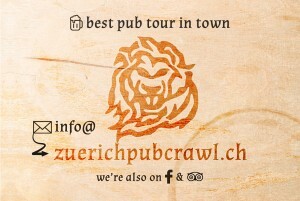 Join our Thursdays crawl! The more familiar the more fun! Join us this Thursday at 9 PM. We meet @Prime Tower – in front of the ZKB. As usual you will get a welcome shot at each bar. Final destination is the Hive Club.